Although the top tier of the BrandFinance Global 500 contains many household names brands that have existed for decades, the world's increasing dependence on the Internet is reflected by Google's position at no. 1. Five of the top ten largest growers are technology-related companies. The US continues to dominate the index; American brands constitute 13 of the top 20 and 26 from the top 500. Founded: Menlo Park, California (September 4, 1998. Founder(s): Sergey M. Brin and Lawrence E. Page. Headquarters: 1600 Amphitheatre Parkway, Mountain View, California, United States. Key people: Lawrence E. Page (CEO, co-Founder and president, products); Eric Schmidt (executive chairman), and Sergey M. Brin (co-founder and president, technology). Total assets: $57.851 billion (2010). 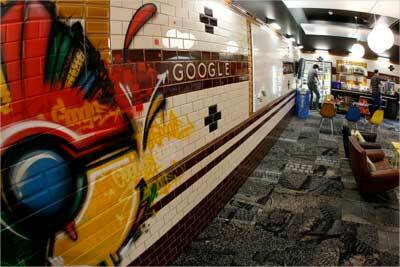 Image: Employees stand in a break room designed as a subway station at the Google building in Zurich. Industry: Computer software, consumer electronics, digital distribution, computer hardware, video games, IT consulting, online advertising, retail stores, automotive software. Founded: Albuquerque, New Mexico, April 4, 1975. Founder(s): Bill Gates and Paul Allen. Headquarters: One Microsoft Way, Redmond, Washington, United States. Key people: Steve Ballmer (CEO); Brian Kevin Turner (COO), and Bill Gates (chairman). Total assets: $86.113 billion (2010). 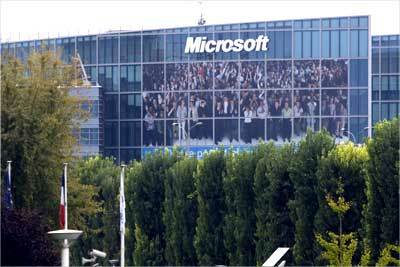 Image: General view of Microsoft Corporation headquarters in Issy-les-Moulineaux, near Paris. Key people: Mike Duke (CEO); H Lee Scott (chairman of the executive committee of the board), and S Robson Walton (chairman). Industry: Computer systems, computer hardware and software, information technology consulting, and IT service management. Founded: Endicott, New York June 16, 1911. Headquarters: Armonk, New York, United States. Key people: Samuel J. Palmisano (chairman, president and CEO). Net income: $14.833 billion (2010). 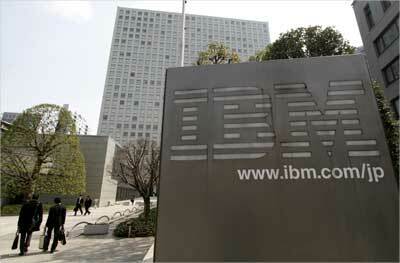 Image: A view of the headquarters of IBM Japan in Tokyo. Key people: Sir John Bond (chairman); Vittorio Colao (CEO); John Buchanan (deputy chairman), and Andy Halford (CFO). Revenue: Pound 44.47 billion (2010). Profit: Pound 8.645 billion (2010). Total assets: Pound 156.98 billion (2010). 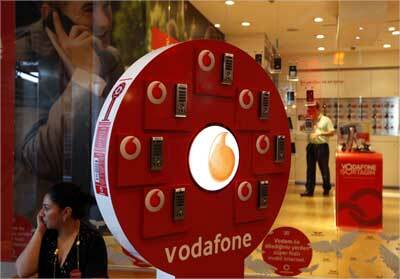 Image: A woman talks on her mobile phone in front of a Vodafone store at Vodafone Turkey headquarters in Istanbul. Industry: Banking, financial services, and investment services. Founded: 1998 (as Bank of America Corp). Headquarters: Charlotte, North Carolina, USA. Key people: Charles O Holliday (chairman) and Brian Moynihan (president and CEO). Net income: $2.238 billion (2010). 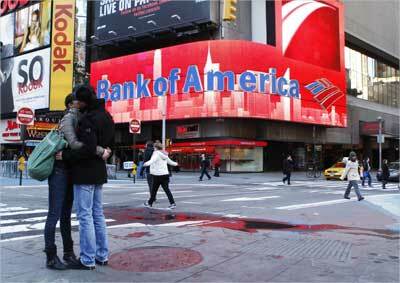 Image: A couple embraces in front of a Bank of America sign on a building in Times Square in New York. Founded: Schenectady, New York (1892). Founder(s): Thomas Edison, Elihu Thomson, Edwin J Houston, and Charles A Coffin. Headquarters: 3135 Easton Turnpike, Fairfield, Connecticut, US. Key people: Jeffrey R. Immelt (chairman and CEO). 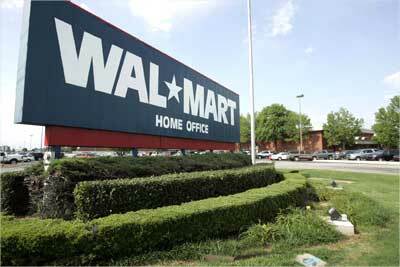 Net income: $12.163 billion (2010). Total assets: $751.216 billion (2010). 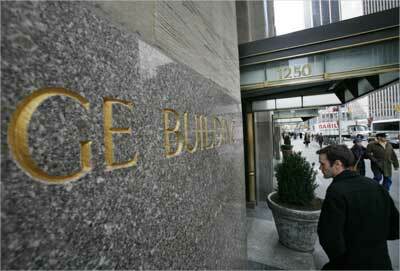 Image: A man enters the General Electric building. Industry: Computer hardware, computer software, consumer electronics, and digital distribution. Founder(s): Steve Jobs, Steve Wozniak, and Ronald Wayne. Headquarters: Apple Campus, 1 Infinite Loop, Cupertino, California, US. Key people: Steve Jobs (chairman and CEO) and Tim Cook (COO and acting CEO). Total assets: $75.18 billion (2010). 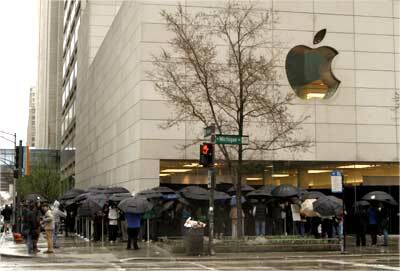 Image: Hundreds of people stand in line in a steady rain to purchase the iPad. Founded: New York, NY (March 18, 1852). Headquarters: San Francisco, California, United States. Key people: John G Stumpf (chairman, president & CEO). Total assets: $1.258 trillion (2010). 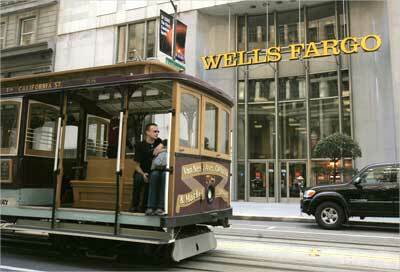 Image: A cable car passes a Wells Fargo bank building along California Street in San Francisco. Headquarters: Whitacre Tower, Dallas, Texas, United States. Key people: Randall L Stephenson (chairman, president and CEO). Net income: $19.864 billion (2010). Total assets: $268.488 billion (2010). Image: Reflections are seen in the window of a store in New York. 1865 (The Hongkong and Shanghai Banking Corporation Limited). Headquarters: 8 Canada Square, Canary Wharf, Tower Hamlets, London, United Kingdom. Key people: Douglas Flint (group chairman) and Stuart Gulliver (group chief executive). Revenue: $ 98.918 billion (2010). Profit: $ 13.159 billion (2010). Total assets: $ 2.454 trillion (2010). 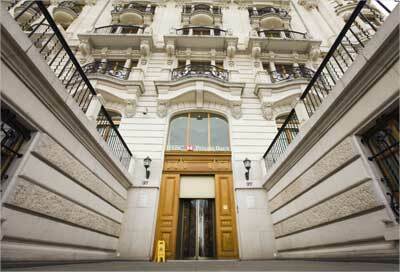 Image: HSBC building in Geneva. Headquarters: Verizon Building, New York City, New York, United States. Key people: Ivan Seidenberg (chairman and CEO) and Lowell McAdam (president and COO). Net income: $10.217 billion (2010). Total assets: $220.005 billion (2010). 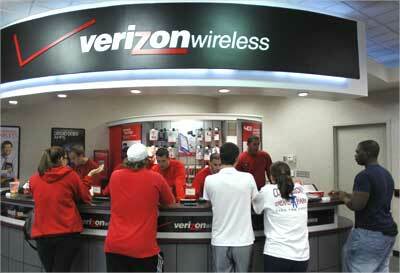 Image: Customers purchase the iPhone 4 with the Verizon Wireless network in Boca Raton, Florida. Industry: Computer hardware, computer software, IT consulting, and IT services. 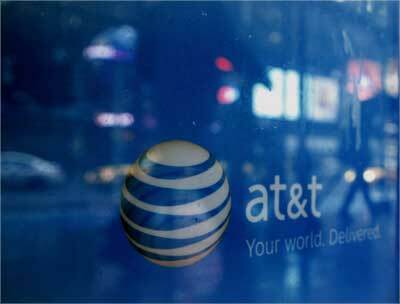 Founded: Palo Alto, California (1939). Founder(s): Bill Hewlett and David Packard. Headquarters: Palo Alto, California, US. Key people: Raymond Lane (chairman) and Leo Apotheker (president and CEO). Net income: $8.761 billion (2010). Total assets: $124.503 billion (2010). 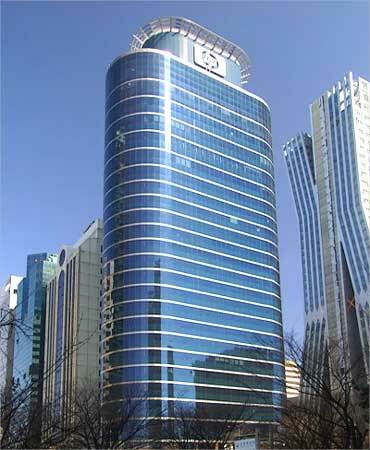 Image: HP building in Seoul, Korea. Industry: Automotive robotics and financial services. Headquarters: Toyota City, Aichi, Japan. Key people: Fujio Cho (chairman and representative director); Katsuaki Watanabe (vice chairman and representative director), and Akio Toyoda (president and representative director). Revenue: Yen 18.9 trillion (2010). Profit: Yen 209.4 billion (2010). Total assets: Yen 30.3 trillion. 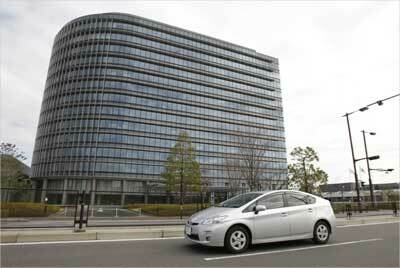 Image: Toyota Motor Corp's Prius hybrid car travels in front of the company headquarters. Revenue: Euro 42.05 billion (2010). Profit: Euro 8.181 billion (2010). Total assets: Euro 1.218 trillion. 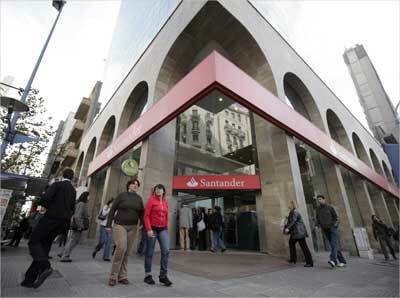 Image: Residents walk in front of a Santander bank branch in downtown Montevideo, Uruguay. Coca-Cola's decline has grabbed headlines, with the soft drinks major seeing its value drop by $9 billion, sliding from the third position to 16th in the annual list. Coca-Cola dropped out of the top ten for the first time. Pepsi on the other hand climbed 7 places to be ranked at 24. Last year, they were at 31. Facebook entered the table in 285th place with a brand value of $3.7billion. 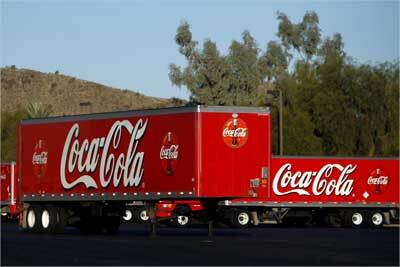 Image: Coca Cola trailers sit parked outside the bottling company building in Tempe, Arizona.